Janiye blog aur blogging kya hai? Successful blogger kaise bante hain? 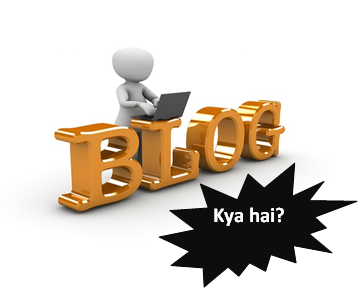 What is blog aur kya kaise blog meaning in Hindi. Ji haan doston, aaj hum har wo baat janenge blogging ke bare mein. Aur agar aap naye hain to jarur samjhe ki blogging start karne ka process kya hota hai? Aur kahan se kahan tak ka safar humko karna hai as a successful blogger. Doston, aap sochte hoge ki apko to blog ke bare mein pata hai. To kya jinki website flop ho jati hai to kya unhe blogging ke bare mein nahi malum tha? Sirf post karna ya kuch ek link banana hi expert blogger nahi bana deta apko. Chaliye mil kar hum dekhte hain ki kya aur kaise blog hota hai? Free me new website kaise banaye? Jane lifetime free blog, website banane ka tarika hindi me. Only best way to create a site for personal or professional use. Isse pehle aap batao ki aap kaun hai? Agar aap casual ya hobby blogger ho to free me website kaise banaye aap logon ke liye hi hai. In case, aap serious or professional blogger ho to please don’t go for it. Kyun? Janiye sare sawalon ke jawab iss new website kaise banaye tutorial mein. You are not happy with the Dreamhost and looking for the Dreamhost Alternatives? Well we can help you with the free alternative to dreamhost. To save your time let’s see what we will cover in today’s Dreamhost tutorial. Why people are looking for alternatives to dreamhost? How to get Free DreamHost alternative? Now if you don’t find your query or solution in our this tutorial, then why don’t you look for the top best shared hosting tutorial by us? 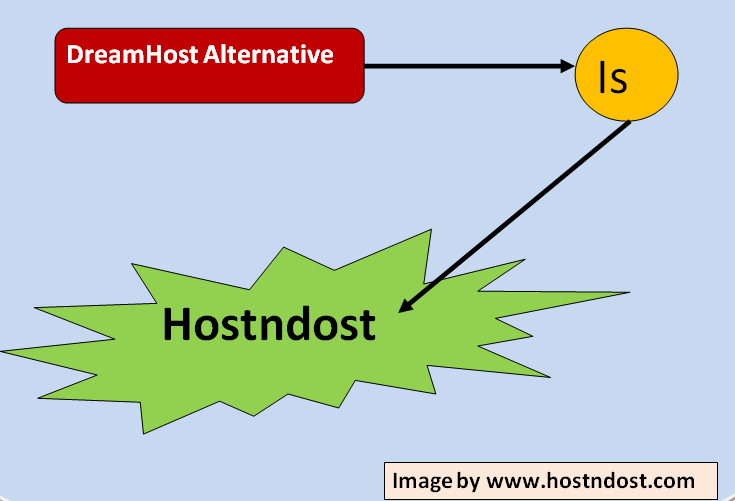 Why you want DreamHost Alternatives? Expensive Plans – Yes, it’s true that the plans they offer are almost twice the other shared hosting providers. Like BlueHost, Hostgator and etc. Not satisfied – You are the frustrated client of the DreamHost, and frequently seeing system resource restriction, bandwidth usage problem or other problems including the temporarily account suspension and etc. User ratings – Most of the user ratings favor xyz web hosts because they are not the genuine one. Sometimes you will see frustrated users rating and probably they will over react on some issues that had been mishandled from both ends. If you see any reason then let us know and we will consider it in our article updation. Well this is interesting part, and let me highlight some important facts. If you will go for DreamHost and you will pay for 3 years @ $7.95/month then you have to pay $286.2. Later if your website will do well and get huge traffic let’s say 50k to 1 lakh per day then you have to upgrade for plan which will cost you extra amount per year. Note: In case, your website will not grow that much after 3 years, still you have to pay $286.2 for next three years. Website Design of your choice. Why we are giving free alternatives to Dreamhost? Free web Hosting – Even we will not be charged for web hosting then why we will charge you? Free bandwidth – If we are getting it free then why we will charge you? Free web space – Again same thing, why to charge for the thing that you will get free? Why we are charging $150? Dear readers, we will do all hard work for web design, blog set up and other things and hence we should get something in return. If you will see $150 is onetime payment and later you have to pay for the domain name. Note: We don’t have any control on the domain name renewal and hence you have to pay the domain name renewal amount. I guess it will vary from $20- $25/year. Buy Domain Name yourself – Why don’t you buy domain name from your favorite web host and let us work on it? This way you will directly pay the domain name renewal to that company. We will buy domain name for you – In this case, you have to pay extra $20-$25 along with the $150. Note: You have to pay domain name renewal amount every year either to us or to your favorite web host. We will not support premium extensions that worth in few thousand dollars. If you wish then pay yourself and trust me it is all waste of money. Please avoid such investments. $50 first – If you have your own domain name, then just pay $50 as a signing amount and once your website is live pay the rest of the $100 amount. $100 first – If you want us to buy domain name then you have to pay $100, out of which $25 will go towards domain purchasing and $75 as a signing amount for the project. Rest $75 we will charge once your website will go live. Note: You will get admin control panel once you will pay final amount. After the payment you can start blogging or website data insertion. Free Dreamhost Alternative – What you will not get? We have discussed what you will get in our free alternative to dreamhost. Now we will see what you will not get in our plan? No Email Account – Our free plan does not come with email accounts. In case, you want then we will charge extra for it. Tips- If you are a blogger then no need to have official id, and if you are a small business then still you don’t requires official id. No unique IP Address – You will not get unique ip address. Which is not required at all? No SSL/TLS Certificates – You will not get in our free plan, but yes if you will go for the ecommerce site or you will accept payment online then it is a must to have thing. Is Payment is refundable? – No, we are not charging anything towards web hosting, bandwidth and web space. We are charging for our services like website design, website set up either static or dynamic and you will get ready website to start off. What if you will be cheated? – This is the reason we had partly payment option and given you bank transfer or cheque option. Because in both the cases you will have our details and last thing is any web hosting company will charge like this only. Why you don’t have credit card/debit card payment option? – Because we are giving you everything free of cost except the domain name and these gateways are paid one and to avail that facilities we have to charge for web hosting, bandwidth and web space. In that case, you will not get life time free web hosting. We have seen what DreamHost alternatives we have for you. If you really want to go for the one time option then it will save huge money for your lifetime. In case you want Dreamhost services, then look for our Dreamhost promo code to save some dollars for you. 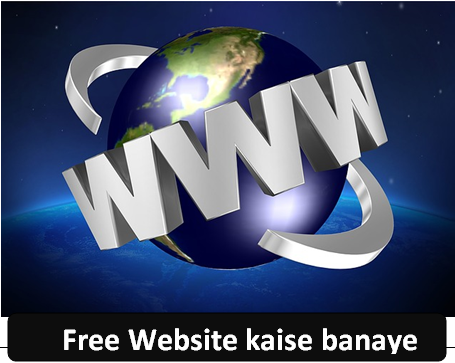 Welcome to the web hosting tutorial by your favorite website “ Hostndost”. Today we will cover top rated web host Dreamhost coupon code along with its features and how to use it. If you are looking for the DreamHost promo code then you must know the quality and worth of taking DreamHost as your website host. Before jumping to the Dreamhost promo codes we will see the features of this web hosting. 100% Uptime – Your website will not go down even for 1 second. Unlimited space – No limit for web space use. Unlimited bandwidth – No limit of traffic to your site. Unlimited email accounts – Good for small business. 24 by 7 support – Reach them anytime. Free domain name – no need to pay extra for domain registration. There are many more features as well, but these are sufficient feature to consider DreamHost as your host. 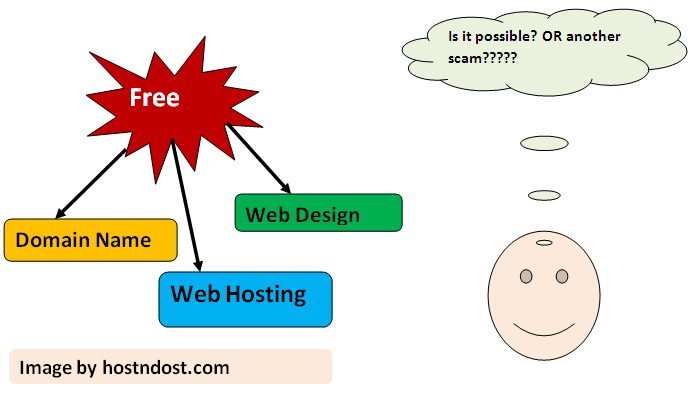 Can Read: How to get free Dreamhost domain name? We have two DreamHost coupon codes for you to use. As we know these are DreamHost promo code and will last for few days only so don’t be a late comer. Let’s see the DreamHost promo codes that will help you to reach your dream. 25% off shared hosting– Get $25 discount (You will get direct cash benefit of $25). 50% off shared hosting – Get $50 discount (You will get $50 cash discount at the time of purchasing the plan. We have one more discount coupon that will help you to get $97 discount straight away. But it has some region wise limitation which many websites will not tell and hence use with caution. Note: If you want to use $97 discount coupon then signup DreamHost using this link and use the SHARPLESSON97 discount coupon. Can Read: Which DreamHost plan you should choose? 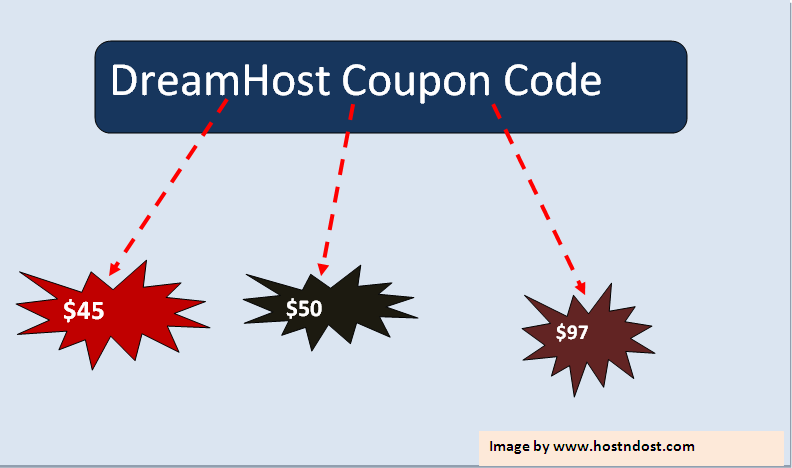 Dreamhost coupon code – how to use it? Just visit DreamHost, and choose your appropriate plan. Click on the above-mentioned discount links and avail direct benefits. Must Read: Why to use Dreamhost WordPress hosting for hosting your blog? Monthly payment (free) – Yes, here you will not have to pay the monthly or yearly payment for the plan. Because in DreamHost whatever plan you will choose either have to pay monthly or yearly. Bandwidth limit – No need to worry about the traffic or bandwidth. Web hosting (free) - You need not worry about the web hosting upgradations or plan change. The Static website (free) – You can have a free static website. Dynamic Website (free) – You can have the dynamic website and that too free of cost. Want to learn more about this? Then Read our complete tutorial on Free Dreamhost alternatives. We have just covered Dreamhost promo code, and how you can use these promo codes. Enjoy your ride, and if you will be stuck anywhere then just contact me. Because like other websites we will not charge anything for guiding you. Just do us a favor share it with your friends and give us a like on facebook. In case, you have got any query or suggestion then feel free to contact us. We always welcome our readers input to improve the knowledge of our readers.